Another stop on the Jordan TATIANA book tour --- Napa Bookmine on October 6th. 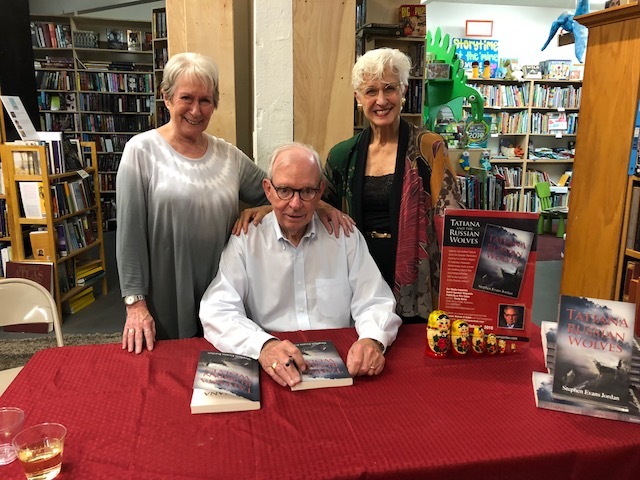 A fun evening with co-authors Conrad Fuller and Elizabeth Bishop --- such wonderful storytellers! So grateful for friends joining us --- including Laurie (Dominican classmate who drove all the way from Modesto); also Pattie (St. Cecilia's classmate from the 1960s). Special thanks to Elayna and Kelsey at Napa Bookmine for making this a special experience.